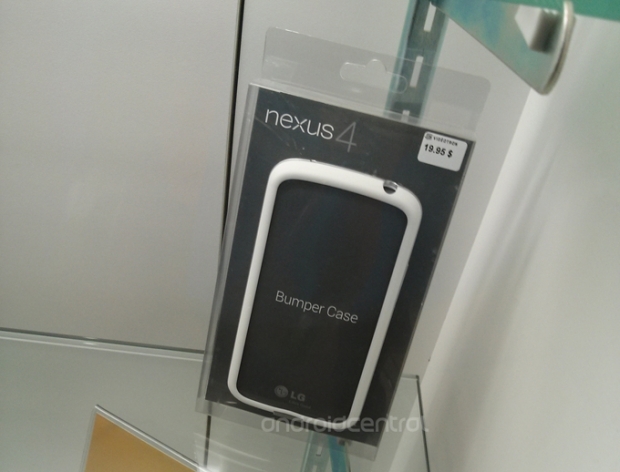 White Nexus 4 bumper case spotted in Canada | Android Blast! If you're in Canada and happen to be looking for a bumper case for your Nexus 4, you might be in luck. A white bumper case for the Nexus 4 has shown up in the wild. The picture above was taking in a Videotron store in Montreal. We haven't seen a bumper case for the Nexus 4 in awhile now. There was a black bumper case in the Google Play store, but it has been sold out for a long while. The bumper case sells for $19.95 which is the same price that the black bumper case was selling for in the Google Play Store. There is no word when these will be more widely available.